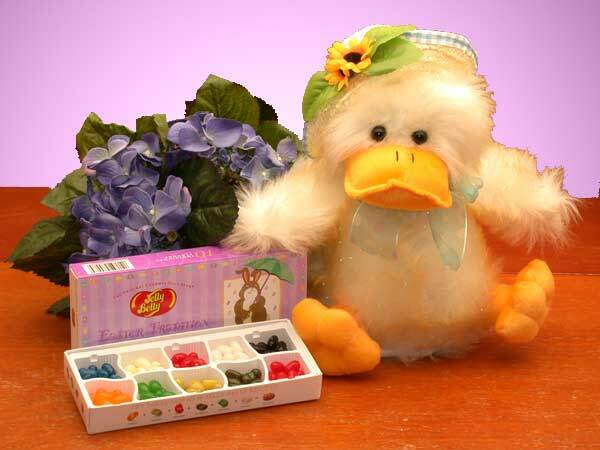 Your little bunnies will quack up with laughter when this little duckling arrives and quacks her song. She sings "You Are My Sunshine" while flapping her wings. She is accompanied by Jelly Belly's 10 most popular flavors.